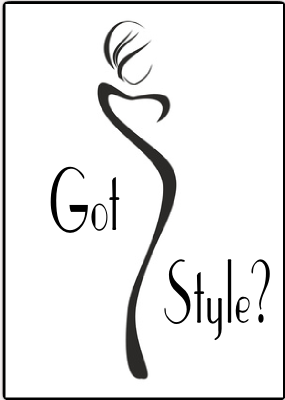 Style is a mixture of your own preferences and what your readers expect to see on the page. For instance, have you ever read something where “web site” was in one paragraph and “website” was in the next? Aside from looking amateurish, there is nothing wrong with it. Both spellings are correct: web site can be two words or a compound word. Another example is Internet, which can be either capitalized or written in lower case. But seeing a word written differently from paragraph to paragraph is distracting for your readers. Another stickler for many writers is the Oxford or serial comma. That's the comma that goes after a series of words and before the conjunction (e.g. “and” or “or”) in a sentence. Some writers swear by the Oxford Comma. Other's swear at it or at least about it. Whether or not you use it is up to you. My preference is to use it, because sometimes it really isn't needed and other times it is. The sentence, "This book is dedicated to my parents, Ayn Rand and God" looks like the author's parents are Ayn Rand and God. Add a pause (comma) after Ayn Rand and the meaning becomes clear. The book is dedicated to the authors parents, to Ayn Rand, and to God. The added comma, makes the "tos" unnecessary. A personal style guide keeps things consistent. It helps you to remember what your readers have seen before and what they expect to see when they return. A personal style guide can also save you from making common mistakes. and abbreviations such as Mr. Mrs. Dr. oz, and lb. While the following style guide is by no means comprehensive, it is a good template for beginning your personal style guide. What would you add that I've missed? Let me know in the comments. You do not need to define common AAIs such as USA unless your subject is not the United States of America. Make plurals by adding an s, not an apostrophe s. (i.e. CMSs, not CMS's). Don't hyperlink punctuation except for apostrophes, single, and double quotes. affect: is a verb meaning "to influence" vs. effect: is a noun, the result of that influence. 1. When you interchange "affect and effect", you will affect the quality of your writing and cause an unwanted effect. 2. Sunlight affects the Earth's atmosphere, creating the effect of color. effect: is a noun, the result of an influence vs. affect: is a verb meaning "to influence"
Internet can be either title case (preferred use is bold) or lower case, but the chosen case should be used consistently throughout. its: possessive form of it vs it's: contraction for "it is"
It's only the dog wagging its tail against the table." loose: Unbound; untied; vs. lose: to part with unintentionally or unwillingly, as by accident or misfortune. "They're putting on their coats over there by the door." were: past tense of the verb "to be" vs. we're: contraction for we are. We were going to the store. We're not going to the store now. where: question about location vs. wear: to bear clothing on one's person; to deteriorate through use. "Where are your socks? You are wearing them on your feet. They are old and showing signs of wear." Your: belonging to you vs. You're: Contraction for "you are"
"You're here now putting on your socks"